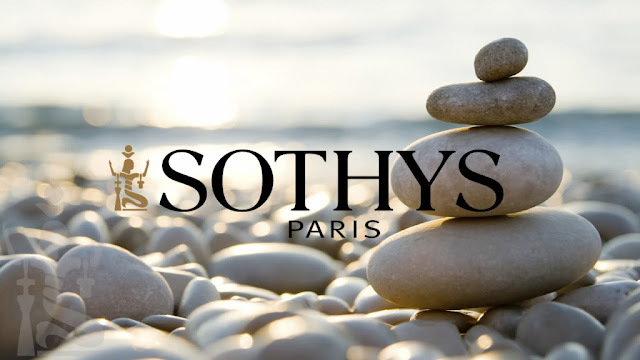 SOTHYS which founded by Dr.Hotz in 1946, was born based on the philosophy of Cure & Treatment. SOTHYS, as the world skincare solution specialist, aim to provide effective yet pleasurable solutions to every skin problem. 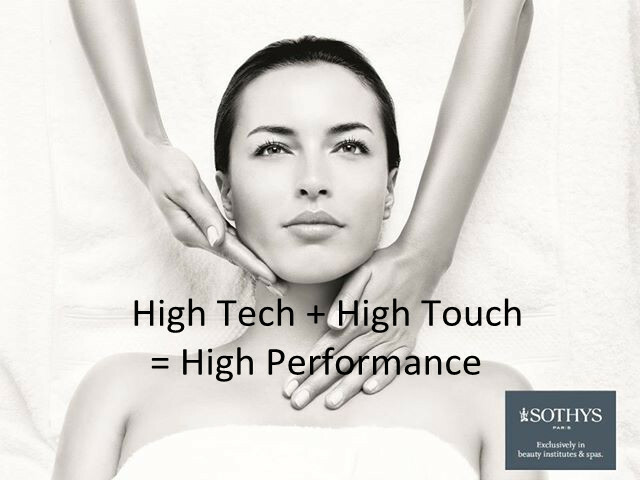 SOTHYS has now become the market leader and industry innovator, producing synergistic beauty programmes, treatment procedures, exclusive and professional methods of body care and high-performance homecare products. 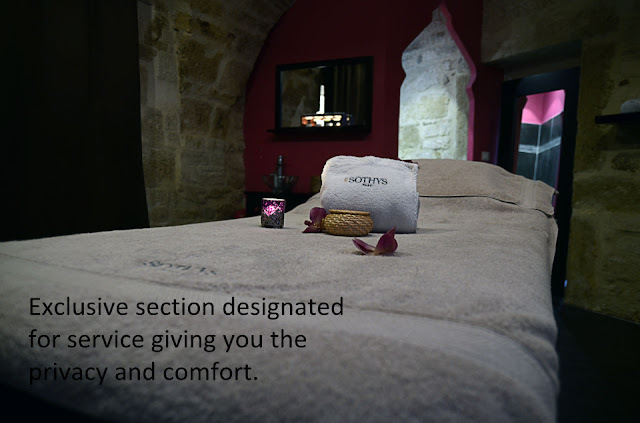 In 1985, SOTHYS institute Paris located in the heart of Paris amongst the world's most renowned luxury and beauty brand names at 128 rue de faubourg Saint Honore. 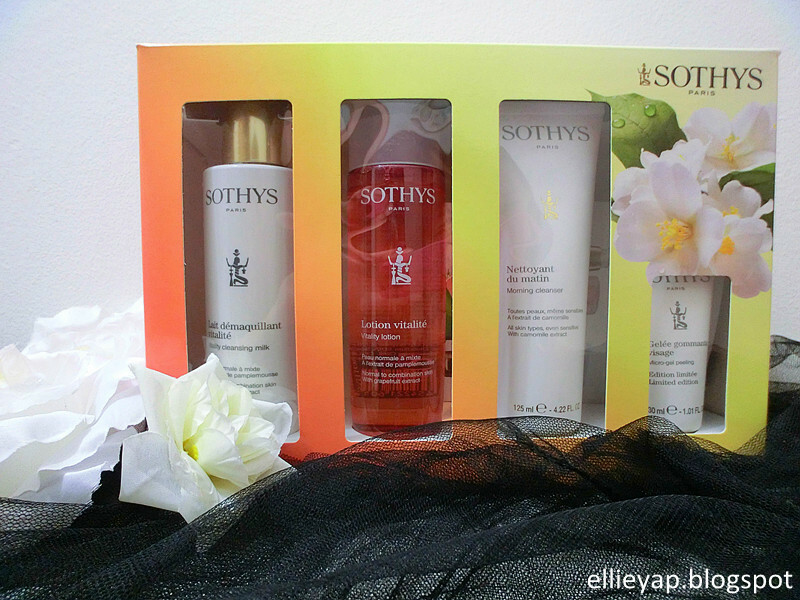 In 1993, SOTHYS has based in Malaysia, started from a humble beginning and it's still growing now! Today, SOTHYS Flagship is renown as one of the most prestigious Beauty Salons in Malaysia with more than 7 Flagships within the Urban Mall of Klang Valley. 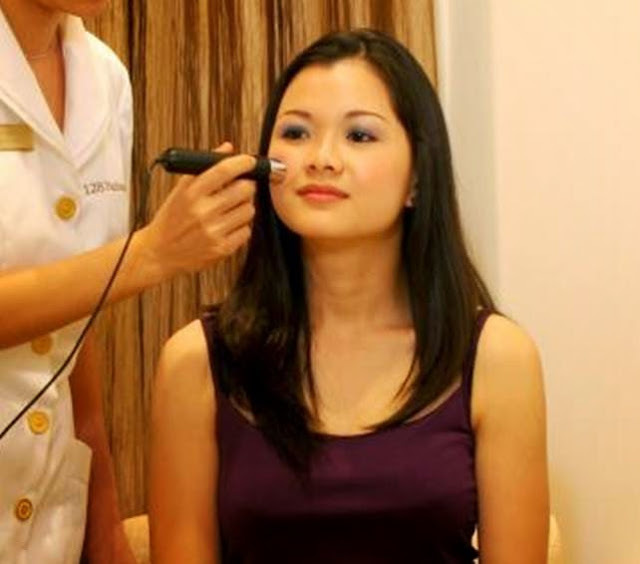 SOTHYS Malaysia has over 120 salons nationwide and more than 50 authorized Salon dealers. a) SOTHYS Products and Treatments. SOTHYS' international presence in prestigious spas globally is a testament of its formulations that have stood the test of time with maximum tolerance and safety, excellence in treatments and products' quality! A super cozy environment that can calm your mind and relax, a place you can call home. Dedicated and talented team of professionals that is fully trained and 100% trustworthy as they are ordinary people with extraordinary characters. An exclusive skin diagnosis and expert consultation performed by SOTHYS qualified aestheticians. With personalized synergistic skincare and regime achieving optimum skin health that preserve your skin age. Digi-Esthetique is an original technique developed by SOTHYS, which is the combination of eastern and western acupressure and massage methods, specially developed to heighten the effectiveness of treatments and assimilation of active ingredients, delivering precise results to meet our skin needs! 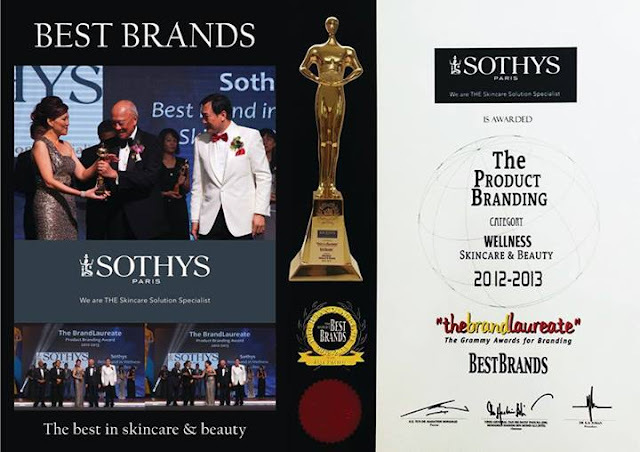 With their vision of uncompromising quality and unsurpassed standards, SOTHYS was awarded Best Brand In Skincare & Beauty Wellness on May 2013. 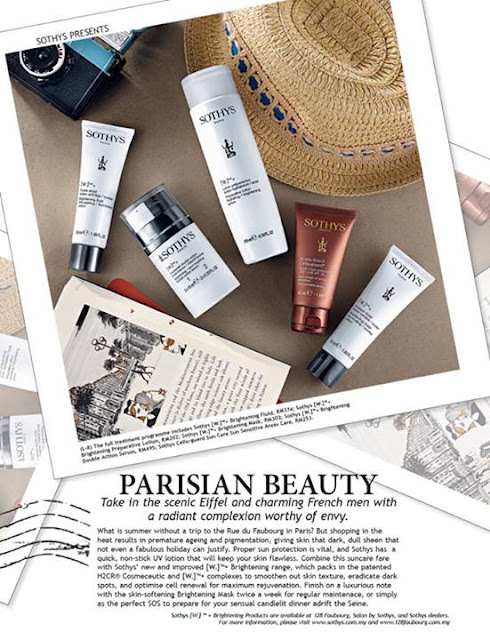 Moreover, Sothys has created a complete program that targets the special conditions of a man's skin. Nowadays, most men rarely pamper themselves and feel ashamed to go for spas and even facials, limited their grooming routine to just the essentials. Hey guys, don't be shy, the world is fair. Not only girls need to pamper themself like a princess or queen, you guys wanna look like prince as well! SOTHYS HOMME LINE is based on 3 essential steps for a detoxified, energized and younger skin: cleanse, shave, protect. Try SOTHYS out! For more information, visit SOTHYS Malaysia or their official website. P/s: Last month, we were each given a set of SOTHYS Cleansing product from Vitality range to tone normal to combination skin. I will do a review on the next post, stay tune readers! You will be amazed! Hey, dear, to enjoy the best Dubai massage full body service, check back to my site for review. When you are in UAE, to retreat yourself just by call to book the full body massage service, check out our Dubai massage outcall body service which is amazing point in your journey wherever in your hotel . For Nature, For Children, For Future.